I started back to work this week. Which can only mean, next week is the first week of school. I'm a nerd, I like school. But I also love the lazy days of summer. I love hanging out with my boys and taking a nap whenever the urge strikes. 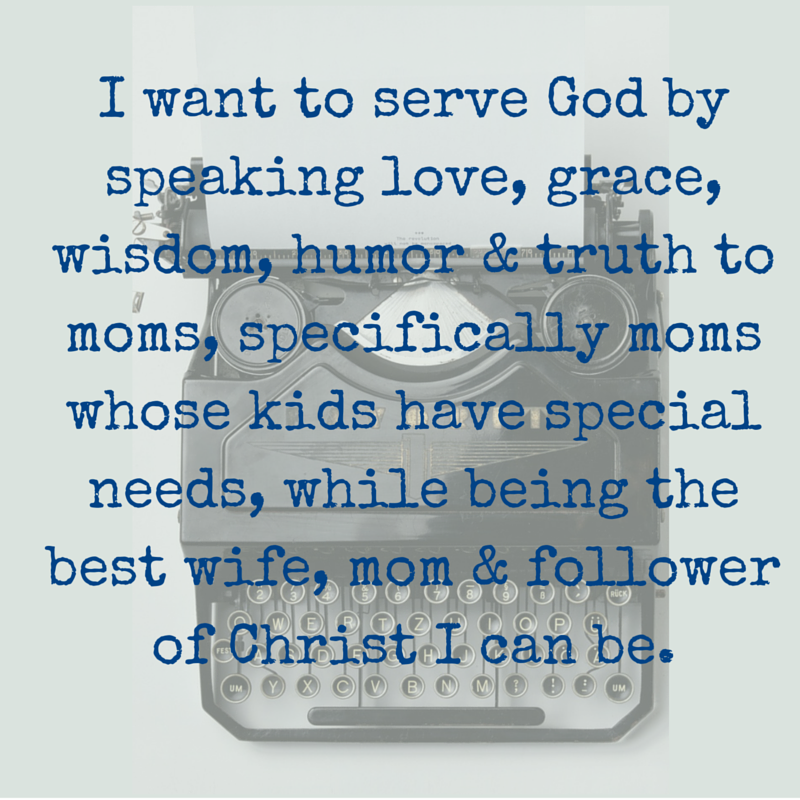 But our family thrives on routine and the school year brings that normalcy back to our lives. 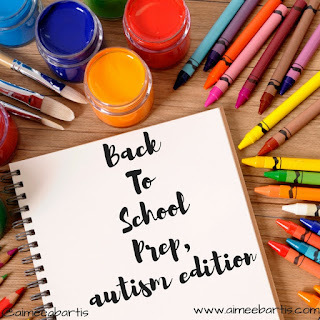 Today I want to share some things that we do to get B ready for back to school. The week before I go back, we start talking up school. "School's about to start! Are you excited?" And we try to get back to a bed time routine. But I don't stress if we can't do it. The main thing at this point is to get school back on B's radar. Our district does a Meet the Teacher night the Thursday before school starts. We do not attend this. There are lots of people at the Meet the Teacher and it can be chaotic. Instead, I email our principal and ask if B can come meet his teacher Friday afternoon after staff development. This has always worked well. On Friday afternoon when we go to meet the teacher, we don't stay long. Long enough for B to see his new room, explore a little bit and for us to talk to the teacher for a few minutes. It's not a full blown conference. Usually the teacher has some things she needs us to fill out. I like to let them know that B's first response is no but if you tell him what you want him to do and walk away, 90% of the time, he'll comply. If you argue or fight with him, you're doomed. We also like to give B time to tell his teacher things. Usually he tells about his latest obsession but it's important for him to be a part of the conversation. We want B to be his own advocate. Our teachers and administrators are great at this. They almost always speak to B first, then to us. I love it! This year our morning routine will be different. My school will start much earlier than B's so he'll go our district's morning program. We'll visit that area Friday afternoon as well. All this helps make Monday morning smoother. B knows what to expect and I know what to talk to him about. All weekend and Monday morning while we're getting ready, I'll be talking to him "When you go into Raider Station each morning, XYZ will happen." "Remember ___________ in Mrs. ________'s room? That's going to be so cool this year!" What things to do you to help your autistic kiddo get ready for the school year? Tomorrow I'll give you a peek into B's backpack. You'll get to see what I sent to school with him every day!